GOOD Travel is proud to have partnered with Peruvian Hearts to bring you this once in a lifetime trip to Peru! 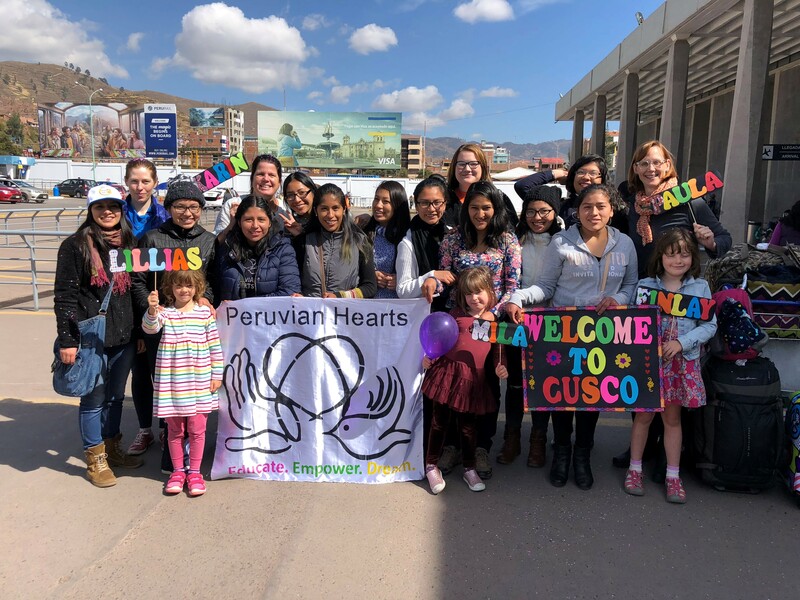 This trip will provide moms and their daughters (ages 6 to 16) with the unique opportunity to spend time immersed in Peruvian culture with the girls involved in Peruvian Hearts' projects. 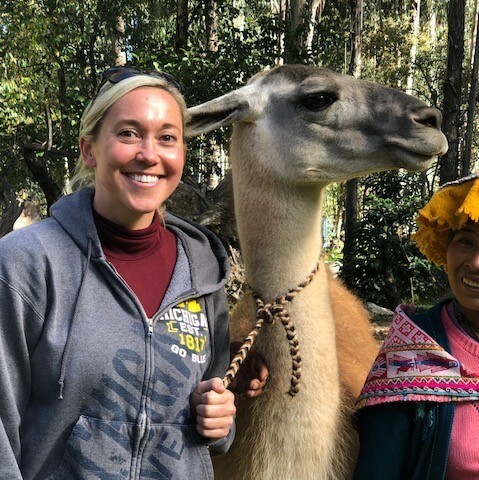 Every aspect of this trip – from the hotels to the llama hikes to the chocolate making – has been designed to ensure that the local community, economy and environment benefit from your visit. Due to demand – GOOD Travel has opened up one trip to sons (ages 6 to 16) as well as daughters. All trips are open to grandmas and aunts – GOOD Travel loves multi-generational groups! Spend time with like-minded moms in a true community of travelers. 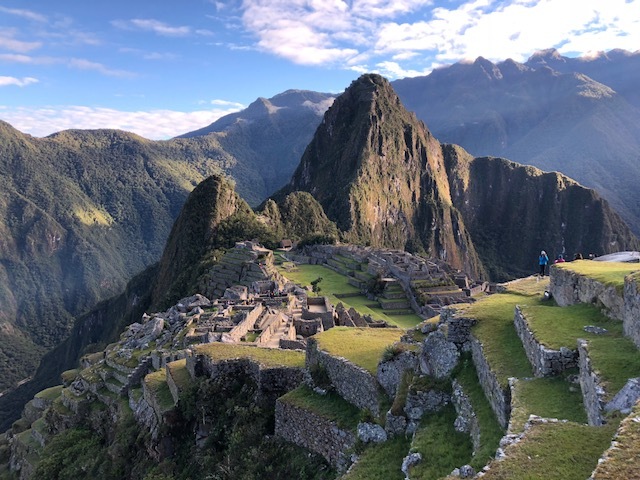 Hike one of the 7 wonders of the world, trek with llamas, make chocolate, visit indigenous communities, shop in local markets … all with your daughter! Experience a fun, enjoyable, real vacation without having to worry about what is happening next. Understand the culture in Peru - something you cannot do from a tour bus. Create memories that moms and kids will share for their lifetimes. Show your kids how to be responsible travelers, kind and compassionate friends, researchers of new cultures, explorers of new experiences and appreciative of all they have. And prove to our formidable enemy - time - that we moms can connect with our kids in meaningful and memorable ways. Cost: $3400 per person with a $400 discount for all kids 16 and under. Price includes all accommodation, meals, activities, project donation and travel within Peru. 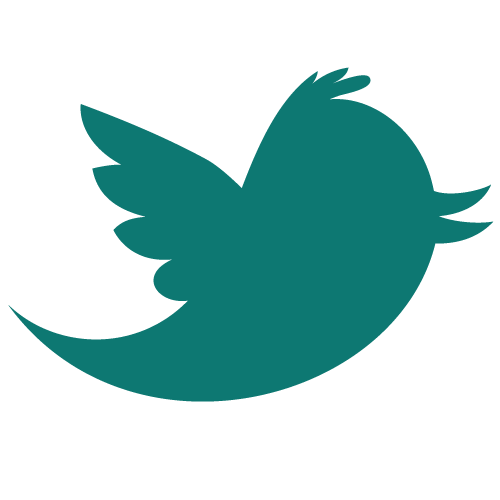 Ask about our Earlybird discount if you sign up before September 2019! Payment plan options are also available. Hey girls - read on for your itinerary! Upon arrival in Cusco, you will be met by a representative from GOOD Travel and taken to your accommodation. You'll have the day to rest and acclimatize to the altitude. In the late afternoon, we will explore Cusco by foot (Plaza de Armas and the Santa Domingo Church) while heading to our welcome dinner at a farm-to-table restaurant in Cusco to celebrate your arrival. The restaurant focuses on supporting local producers as well as working in close partnership with community and social projects. Not only is this a GOOD restaurant, but the food is delicious and they have a great kids area and menu! During dinner, we will meet our partner, Peruvian Hearts. This non-profit organization works to end poverty and gender inequality by educating young women and creating community leaders in Peru - one girl at a time. Peruvian-born Ana Dodson developed this nonprofit organization to enable young women to embrace education, believe in their own power, and dream of a life beyond the conditions into which they were born. $150 from each trip fee per person will be donated directly to Peruvian Hearts. 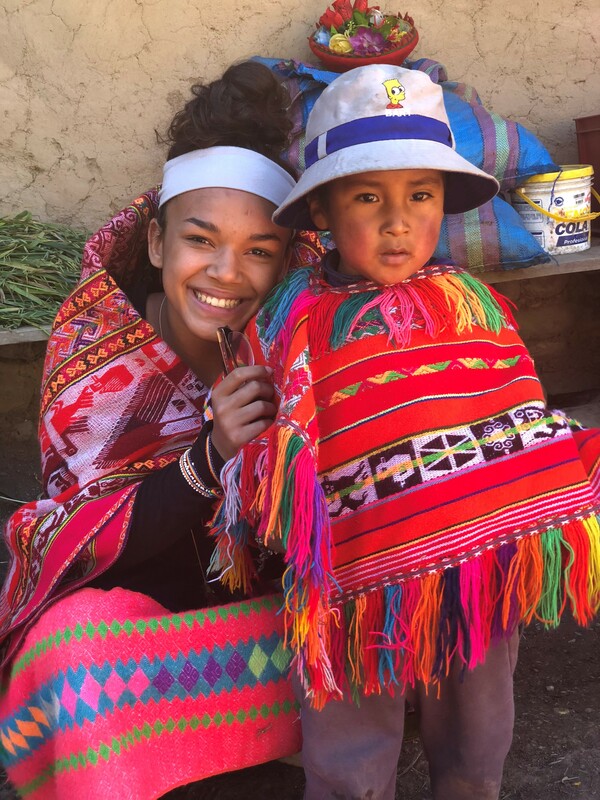 Your donation will support one of the Peruvian Hearts scholars to help cover expenses such as her tuition fees, books, school supplies, uniform, school sponsored field trips, and transportation. You will also be supporting Peruvian Hearts through various activities – including spending time with these amazing girls – during the course of the trip. ‍Overnight in Cusco. Dinner included. We'll spend the morning visiting the homes of some of the Peruvian Hearts scholars within Cusco. This will give you and your child a unique opportunity to get beyond the tourist trail to understand life in Peru. 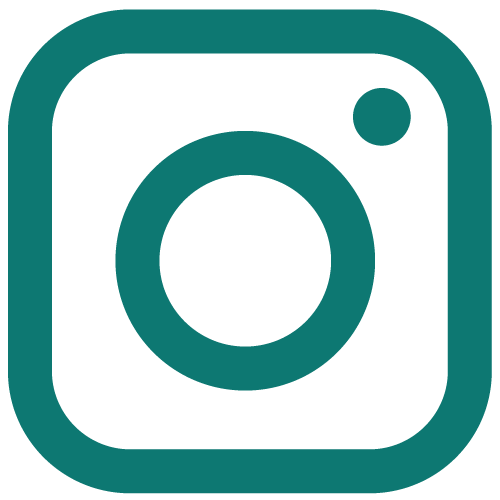 This experience will also provide context for the work of Peruvian Hearts as you will hear the stories of some of the young women involved in their programs and begin to understand the challenges and opportunities they face. In the afternoon, we'll head to a community center called Huchuy Yachaq in the mountains above Cusco. Huchuy Yachaq offers a variety of different services to the families living in the area, including a kindergarten, library, homework support and mothers' empowerment initiatives. We will have the opportunity to spend time with the kids playing games and meet their families as well as learn about their way of life. We will also be able to purchase souvenirs at the center as a way to support the mothers involved in their empowerment programs. In the evening, we'll have dinner at the apartment where the Peruvian Hearts' scholars live in Cusco. We'll share stories about our own communities, take part in Peruvian dancing and get to ask questions about what it’s like to grow up female in Peru. No doubt singing will also be on the agenda as well! Overnight in Cusco. All meals included. Our first stop today is a small village famous for its ancient weaving tradition. We'll then head to Ollantaytambo for some free time to explore this lovely living Inca village with its cobblestone streets and stone buildings. You'll have the opportunity to do a little shopping or enjoy a snack at one of the town's cute cafes. In the afternoon, we will take the train to Aguas Calientes, a stunning 1.5 hour journey full of surprises through the magnificent Vilcanota Canyon. Arriving at Aguas Calientes, we will check into our accommodation before tucking in for an early night, in preparation for tomorrow's early start. Overnight in Agua Calientes. All meals included. Rise and shine! After our pre-dawn wake-up call, we will take one of the first buses up to Machu Picchu in order to appreciate this World Heritage Site and one of the Modern Wonders of the World in the early morning light. (For those wishing to hike up, this option can also be arranged.) Your visit to Machu Picchu will begin with exploring some of the alternative routes, like the Inca Bridge, after which your guide will give you a 2-3 hour walking tour of the historic citadel. After visiting Machu Picchu, you can take the bus back down to Aguas Calientes and enjoy some time exploring the village and doing some souvenir shopping. You may also wish to visit the local hot springs to relax after our busy day of exploration! We'll have an additional morning to explore Machu Picchu and Aguas Calientes before traveling to the Sacred Valley in the afternoon. We'll be staying in an eco-hotel in the Sacred Valley for the unique opportunity to experience life in rural Peru. This simple hotel was a life-long dream of a local family (actively involved in Peruvian Hearts). It is located in Urubamba in the Sacred Valley and is the perfect place to reconnect and relax after Machu Picchu. The owner will give us a tour of the hotel grounds and talk with us about the culture and way of life in this beautiful part of the world. We will also have the opportunity to take part in a cooking workshop so that we can take home the recipe for one of Peru's most delicious dishes! Overnight in Urubamba, Sacred Valley. All meals included. We'll spend the day with Llama Pack Project taking llamas for a walk to learn about these (smelly yet gorgeous!) animals. We'll have the opportunity to learn about the inspiring work of Llama Pack Project and how they are using tourism as a tool for sustainable rural development and conservation of mountain ecosystems in the Urubamba mountain range.They work with high-Andean communities that are located between 3,200 – 4,500 meters above sea level with a focus on empowering communities so that they are able to hope for a better future and make it a reality. In the late afternoon, we'll return to Cusco in time for a Moms night out! We'll spend our final day back in Cusco where we'll have some free time to do some shopping at fair trade markets and take part in a Peruvian chocolate workshop. 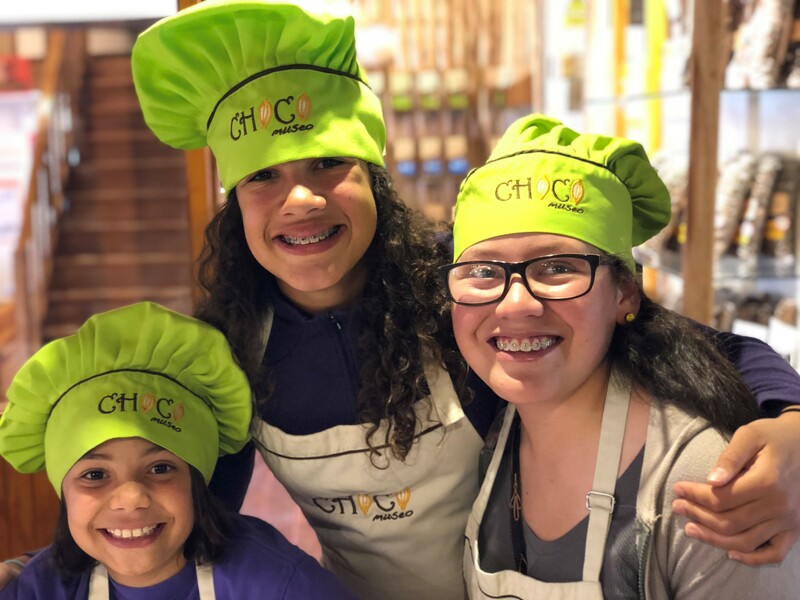 We'll learn all about the chocolate making process, starting from the cacao tree in the jungle and we'll make our own chocolates with milk or dark chocolate and more than 15 different flavorings. The workshop will take place at the Choco Museo, a company with a strong focus on intrapreneurship, local production and transparency. In the evening, we'll have a farewell dinner with the Peruvian Hearts scholars. We'll have time to share our stories and aspirations for the future. All airport transfers, regardless of flight time, are included today. Breakfast included. Your homework in advance is to research the words that appear in bold below. 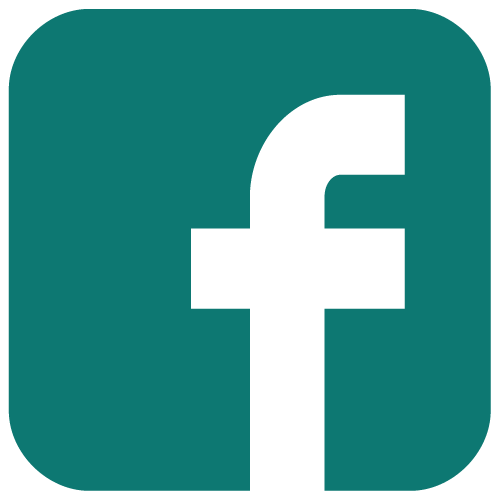 Then you can share your findings and/or your thoughts on our Group Facebook page! Days 4 and 5: On day four, we will wake bright and early to reach Machu Picchu before the sun (by practicing sustainable travel). After watching the sun rise, we'll have plenty of time to explore the ancient ruins (just like famous archaeologists) and play in the Andes mountains. We'll also have the next day to explore Machu Picchu a bit more before heading to the Sacred Valley in the afternoon and partake in a cooking workshop preparing some traditional Peruvian meals. Day 6: Today, we get to walk llamas and learn all about these (smelly but gorgeous!) animals and the work of the Llama Pack Project. Then we return to Cusco for a girl’s night in at the hotel (with our GOOD Travel guide) – moms excluded! Day 7: Today is our last day but we will be too busy to be sad. We’ll get to go shopping (with the help of mom) at fair trade markets and even learn how to make Peruvian chocolate – yummy! In the evening, we'll have a goodbye dinner with the Peruvian Hearts scholars and trade email and Facebook addresses so we can be virtual penpals. Accommodations: We will be staying at hotels that are actively involved in supporting the local community and/or environment. For example, in Cusco we often stay at Niños Hotel, which was established to support Ninos Unidos Peruanos Foundation, providing meals, medical care and homework support to 600 marginalized girlsand boys in Cusco and nearby villages. 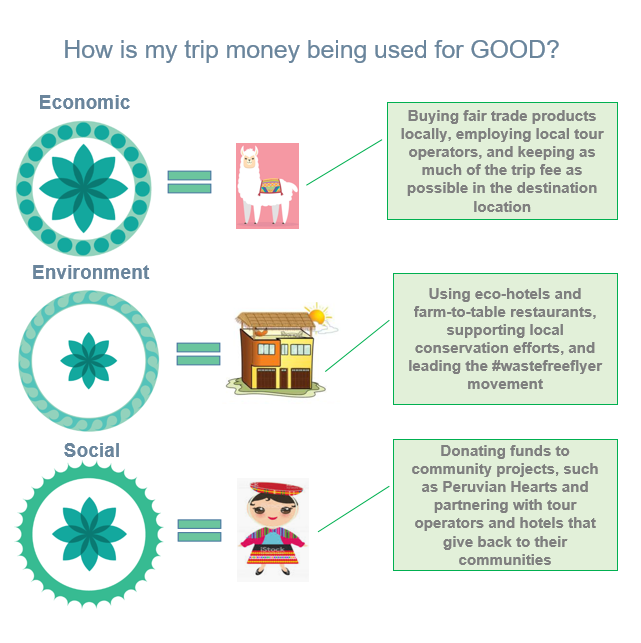 Tours: All tours are organized in partnership with local tour operators who share GOOD Travel's vision of transforming the tourism industry into a force for GOOD. 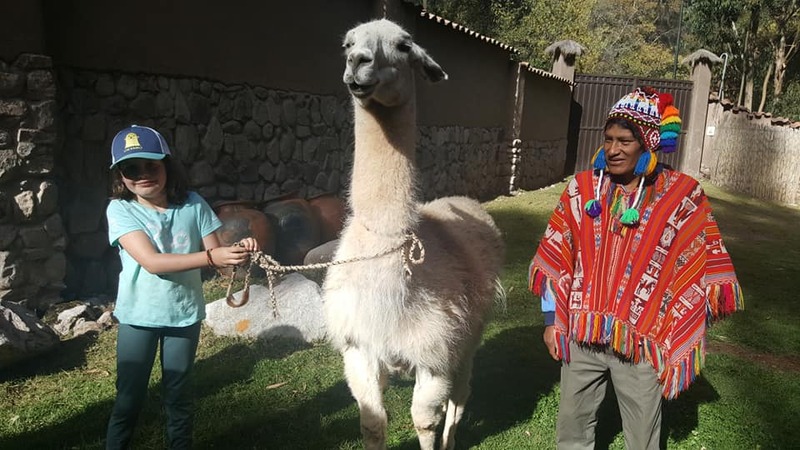 For example, we will go for a hike with the Llama Pack Project, an organization working to recover traditional uses and breeding of llamas as a tool for sustainable rural development and conservation. Meals: We will eat delicious Peruvian food during this trip at a range of farm-to-table restaurants. Many of the restaurants we work with are proactively supporting local producers as well as community projects. For example, in Cusco we will enjoy a delicious dinner at Nuna Raymi, a restaurant working in close partnership with community projects and supporting young entrepreneurs - including female chefs. Shopping: We encourage you to purchase your souvenirs during our visit to Huchuy Yachaq community center, which supports mother entrepreneurs or from one of the fair trade stores we will visit on the last day of the trip. 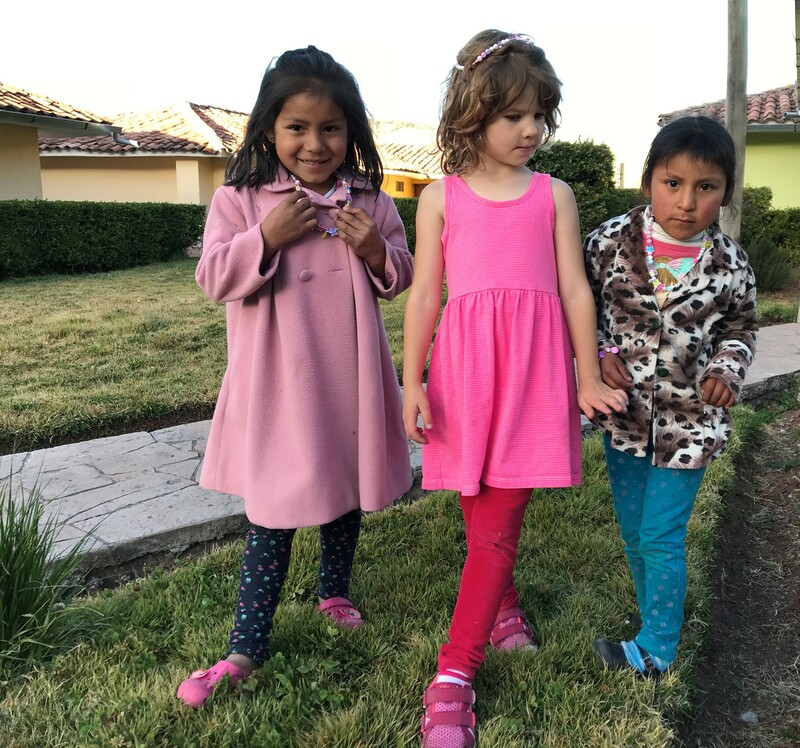 Donation: $150 of your trip fee will be donated directly to Peruvian Hearts to help cover expenses for one of their scholars such as her tuition fees, books, school supplies, uniform, school sponsored field trips, and transportation. The trip will be led by GOOD Travel and Peruvian Hearts. In addition, a range of guides from local tour operators will be involved in various aspects of the trip. Caitie is one of four women who co-founded GOOD Travel. As the former Director of the GVN Foundation, Caitie led the Global Youth Ambassador Program, designing workshops for young leaders and leading trips in Peru, Vietnam and Thailand. 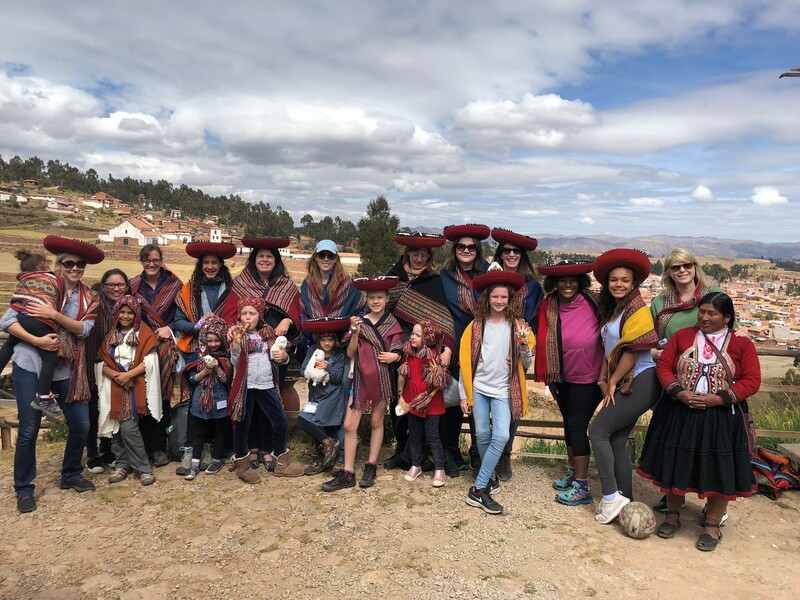 Caitie was the leader of our inaugural moms and daughters trip to Peru in 2018. Peru is one of her favorite countries in the world and she can't wait to share this experience with you! Edwin is the Program Director for Peruvian Hearts in Peru and Jeanette is the Director of the Peruvian Hearts scholars program. Together, they are in charge of overseeing all new projects on the ground. They are also the beloved Peruvian Hearts ambassadors for visitors to Peru and they are looking forward to welcoming you! Edwin & Jeanette have two daughters, Sofia and Valeria. They also own La Quinta Eco Hotel where you will stay in Urubamba in the Sacred Valley. Seven nights of accommodation in sustainable bed & breakfasts and hotels in a mix of double and quadruple rooms (if requested). All local transport during the trip. $150 donation to Peruvian Hearts girls forging their place in the world through education. A range of activities, including a tour to Machu Picchu, a hike with Llamas, a cooking workshop, a Chocolate making workshop, weaving, shopping and more! Exclusive membership in our Peru 2020 Facebook group, where you’ll get to know your fellow travelers, learn more about Peru and have all your questions answered. 24/7 support from your trip leaders throughout your stay in Peru. An amazing bonding experience with your daughter (or son) while giving back to communities and then environment. International flights to Cusco, Peru. International travel insurance (required – GOOD Travel will recommend). Please click on the Book Now button below to enter your details and book your spot on one of our trips. You will then be directed to pay your deposit of $800 (one adult and one child). If you will be traveling with more than one child or you would prefer to pay via payment plan, please contact us and we will send you a different payment link. Before you make your payment, please make sure you’ve read and understood our terms of service. If there is anything in our terms of service that you’d like us to clarify, please contact us for more information. Please check with us before purchasing your airline tickets to ensure your trip is confirmed with the minimum number of participants required to operate.